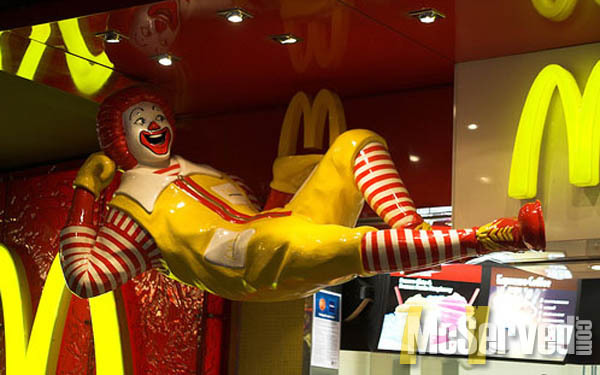 Jump | McServed: Getting Served McDonalds Fast Food Funnies, Laughs and More! I am not sure if this is meant to lay down the law or if its to call out Chuck Norris himself but this is definately the awesomest pose Ronald has ever done to date. Pictures, Ronalds tags: jump, kick.